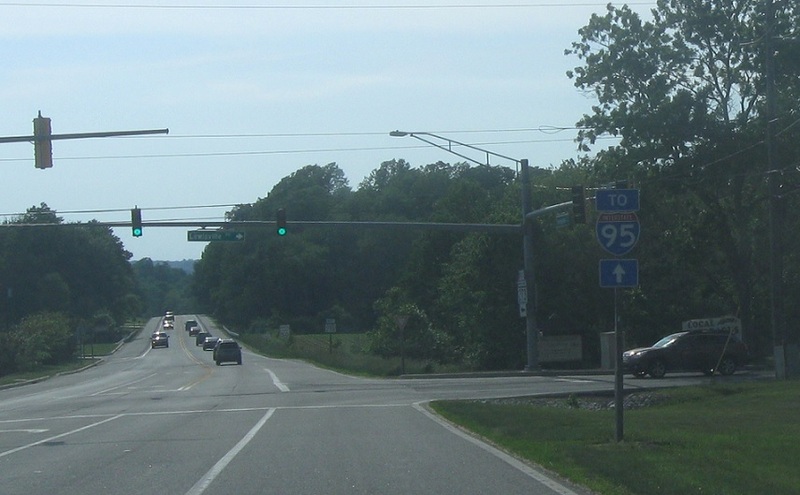 Welcome to Maryland! 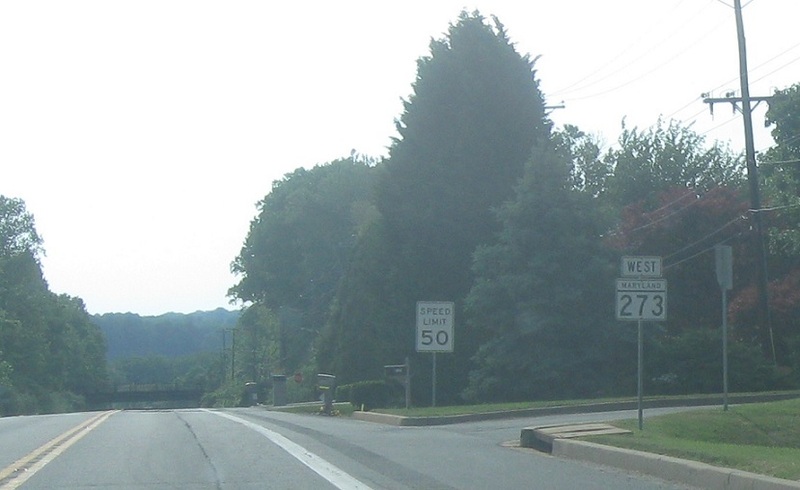 The highway continues as MD 273. 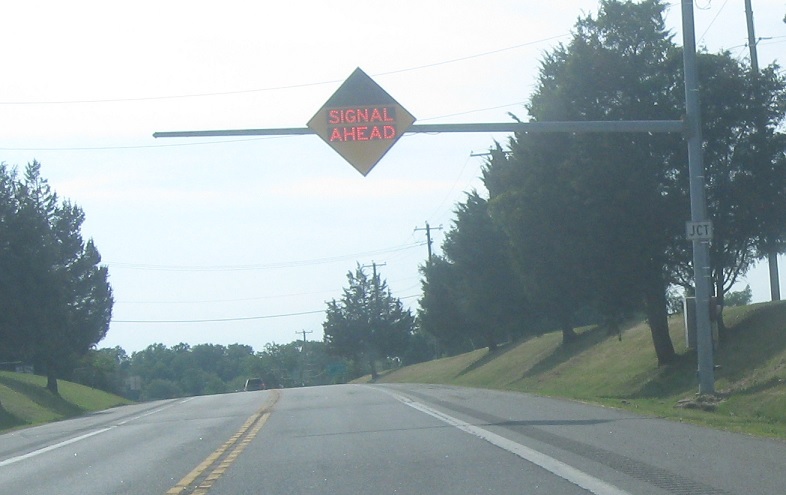 Reassurance shield as we enter Maryland. Reassurance shield as we pass through Appleton. 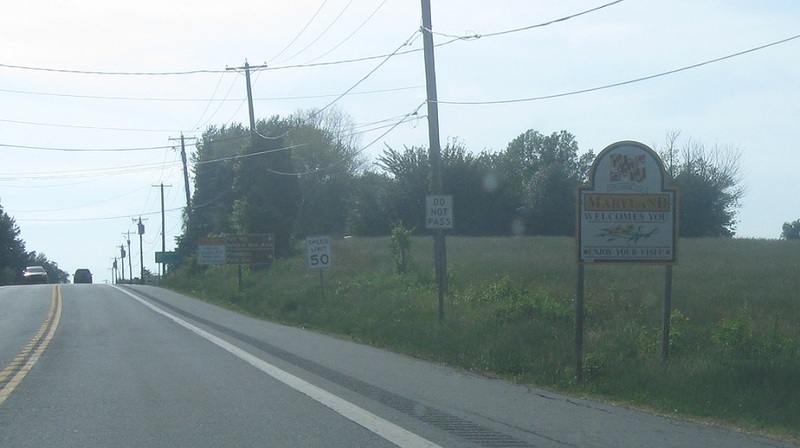 A couple miles later we’ll approach MD 213. 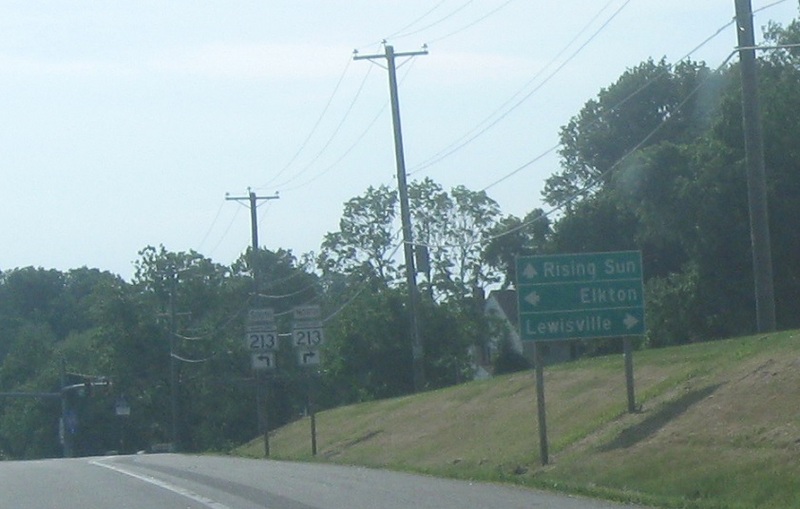 Follow 213 north to Lewisville, Pa. 213 south heads to Elkton. 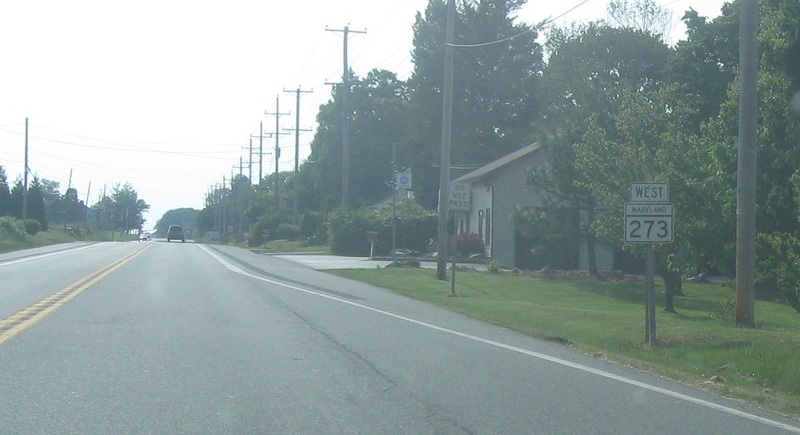 Stay on 273 west for Rising Sun. 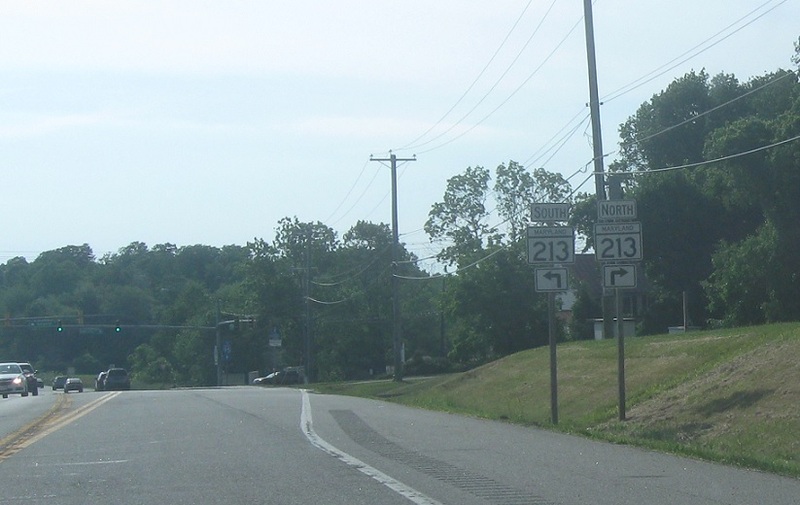 Turn right for 213 north and left for 213 south. Stay on 273 west for I-95.